We are the leading manufacturer, wholesaler and exporter of Sail Structures to our valuable clients. With a precise understanding of the relevant industry, we introduce ourselves as the leading supplier of Fabric Shade Sails. The offered shade sails are manufactured by utilizing the best quality raw material and advanced technology in adherence with industry standard. 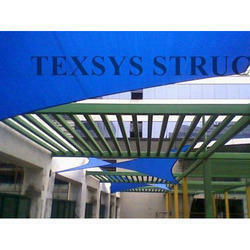 Our provided shade sails are useful where there is a need to provide shade thereby extending the outdoor living areas. 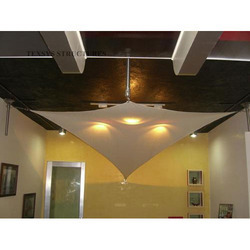 Clients can avail these shade sails from us at nominal prices. Owing to a long-term destination for our business, we are engaged in offering a wide gamut of Interior Sails. Designed with high precision, the provided sails are designed in a way that these can be overlapped to create a unique architectural effect. Offered sails are well designed using superior quality raw material and advanced technology as per the industry standards. Besides, clients can avail these sails from us at nominal prices. 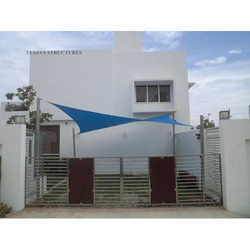 Our organization has successfully expanded its business in market owing to the offered elevated quality array of Shade Sails. Used for multipurpose applications like open air cafeteria, temporary events, and sports areas, offered sails are manufactured by our skilled professionals using superior quality raw material and ultra-modern tools in adherence with industry norms. Apart from this, provided sails are widely acknowledged for its high reliability and pocket-friendly rates. With firm commitment to quality, we are presenting for our clients a vast range of Sail Structure. 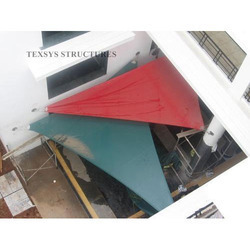 Used for covering entry passages, outdoor restaurants and parking, offered structure is designed using quality tested raw material and cutting edge technology in sync with industry standards. Apart from this, to deliver qualitative product to the clients, this structure is tested by our quality examiners on different quality norms.